To provide effective oversight and stewardship of the Parish's finances, under the direction of the Parish Priest and in accordance with Diocesan requirements. The Diocese requires there to be a Parish Finance Committee to advise the Parish Priest, with whom the decision making powers ultimately reside. To oversee the parish accounts, ensuring that income and expenditure trends are identified, and to determine any actions required to maximise Parish income and manage expenditure appropriately. The Finance Committee also has responsibility for assisting the Parish Priest in areas such as insurance, health and safety, fire prevention and the general maintenance of all Parish property. The Committee meets at least four times a year for this purpose. It comprises the Parish Priest and parishioners with accountancy, financial and business management experience. Members are expected to take a full and active part in its deliberations. There is also a small team, based in the Church office, which undertakes the day to day financial administrative work, including overseeing the weekly church collections, financial record keeping and administering the quarterly gift aid claims on HM Revenue and Customs. 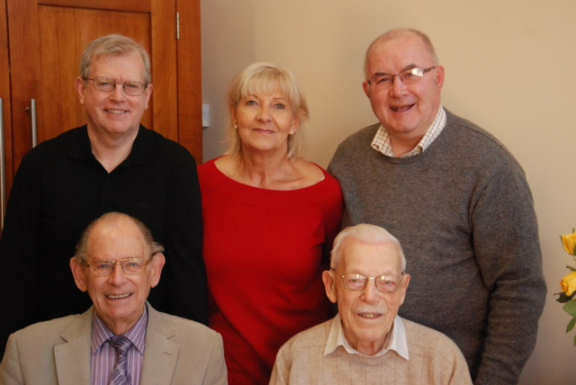 The team currently comprises Julie Blazewicz-Bell, Ernest Dale, Michael Dwan, Philip Martin and Jim Pacey. The team is available on Monday mornings and at other times to advise parishioners on any financial issues affecting the Parish, including the Parish's planned giving arrangements. Standing (L to R) Philip Martin, Julie Blazewicz-Bell and Michael Dwan. Planned giving is an important means by which parishioners can help the Parish address the significant financial challenges it currently faces. A leaflet entitled 'Guidance on Planned Giving' explains the challenges and the options for planned giving.